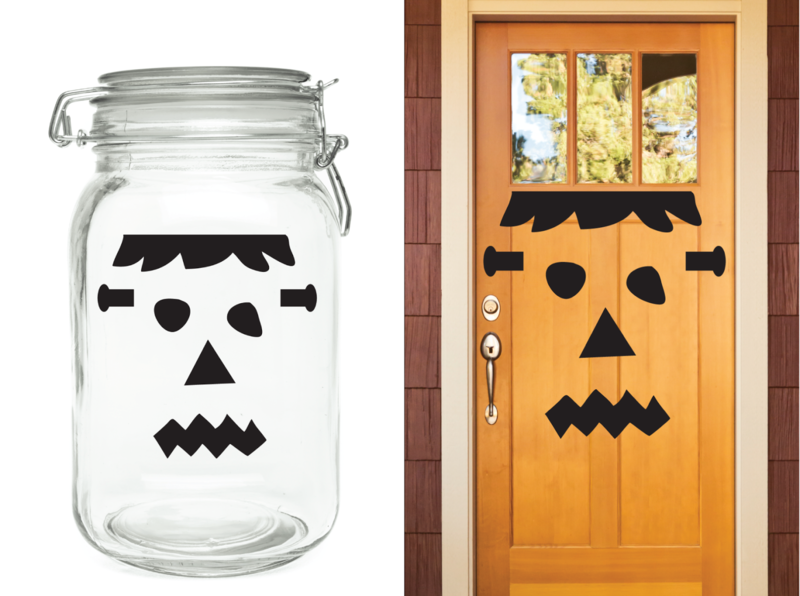 Just in time for the creepy cuteness that is Halloween, we've got great new designs and decals to up the creep factor in your house and help y'all get in the spooky swing of things. Last week we featured some of our Halloween prints, this week, we're doing all Halloween vinyl decals all the time. Smiley Pumpkin Face Wall Quotes™ Decal - You've seen all the posts floating around Pinterest and the blogosphere this time of year about mess-free pumpkin decorating, yes? (Like this post from Modern Parents Messy Kids or this one from Hands on as we Grow) We've made our own versions for no-mess decorating - cute, just a little creepy, even Frankenstein-y. Doesn't get much easier than that. Franky Frankenstein Wall Quotes™ Decal - There's really only one way to make these pumpkin face better - use 'em in lots of places! 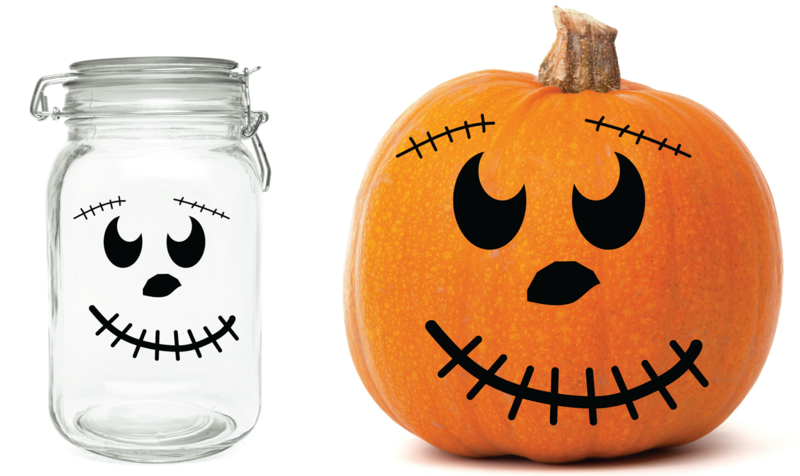 We've got a "mason jar" size, a "pumpkin" size, and a "front door" size. Let the fun begin! 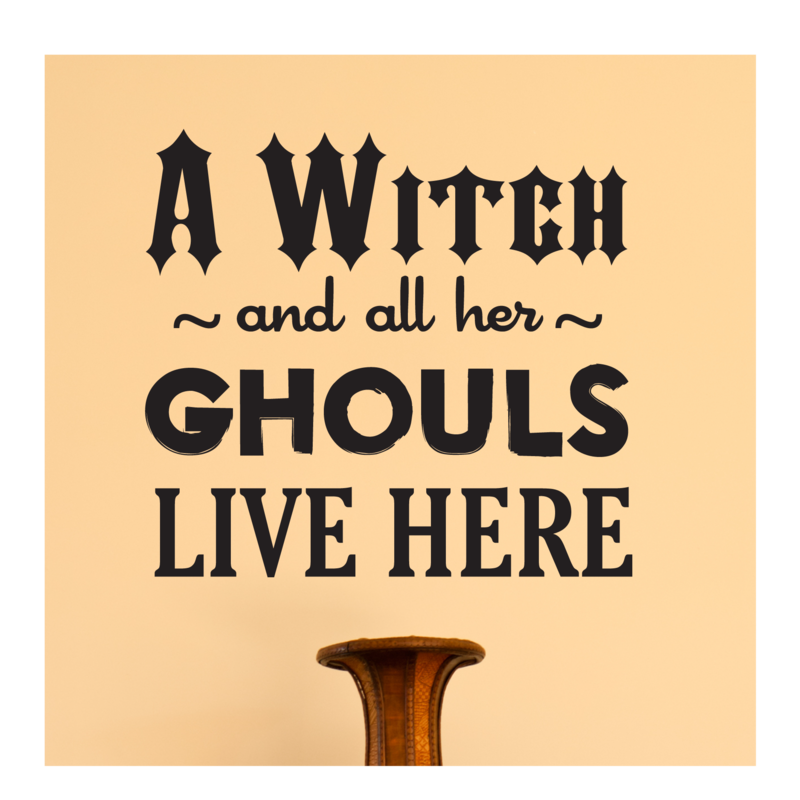 A Witch and Her Ghouls Wall Quotes™ Decal - Isn't this the perfect design? I need one for my front door - heaven knows I live with a lot of ghouls. Teeheehee. 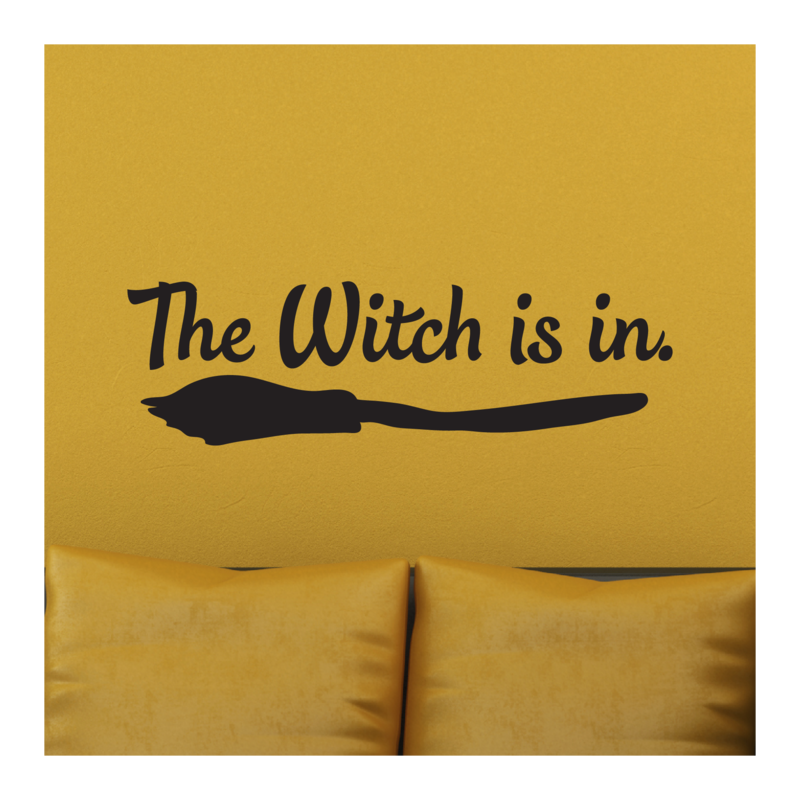 The Witch Is In Wall Quotes™ Decal - I love this design. Maybe it's the cool retro script. Or maybe it's the spookily appropriate broom. Whatever it is, I'm in, too. 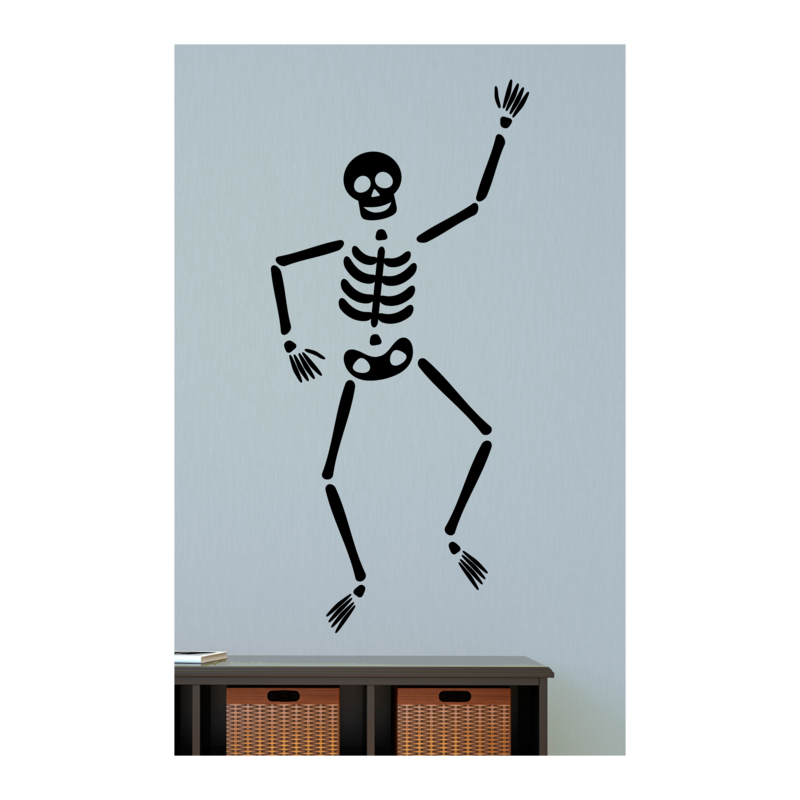 Billy Skeleton Wall Quotes™ Decal - Sometimes, skeletons are too scary - but not this guy! Look at that grin. Wouldn't he be perfect in any entryway? And educational too, right? The leg bone is connected to the hip bone (see where I'm goin' with this?) Love him. 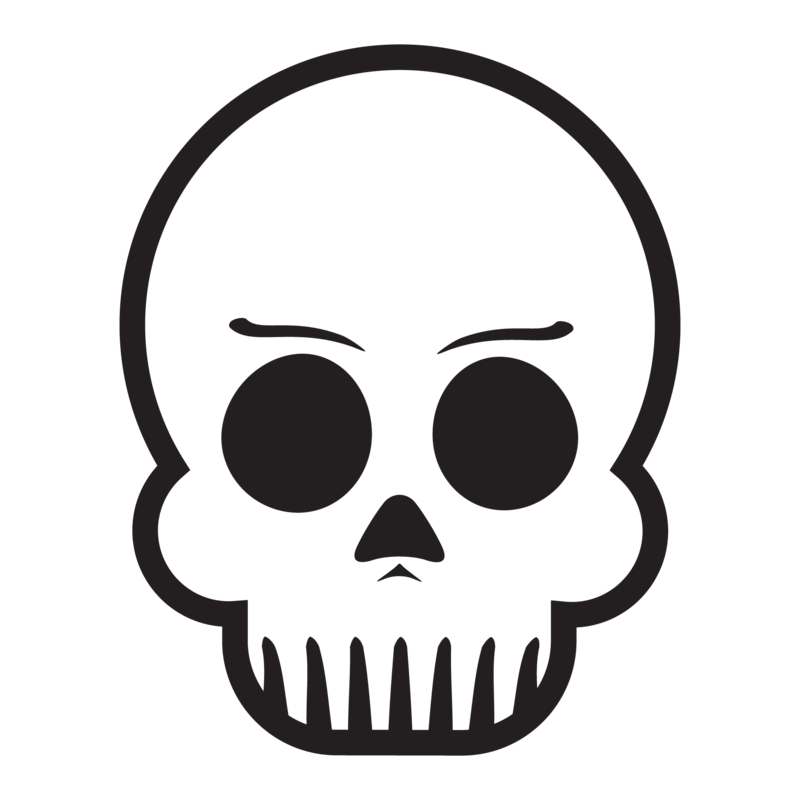 Edward Eyebrows Wall Quotes™ Decal - Speaking of skeletons, this one's just a tad more menacing. Those eyebrows! Can you see him on a front door - Trick or Treaters, beware!